Globe Telecom International Business Group (IBG) will lead Day of the Seafarers tomorrow June 25 at the Luneta Seafarers Welfare Foundation, Inc. (LUSWELF), T.M. Kalaw, Manila and the Maritime Industry Authority (MARINA), Taft Ave., Manila. The telco announced that it will showcase its Seafarer SIM to all Pinoy seafarers who will be present during the event, as a way of paying tribute to almost half a million of our kababayans working for the global maritime industry. Introduced in 2013, the Seafarer SIM allows Filipino seafarers to keep in touch regularly with their loved ones back home at affordable call and text rates from anywhere in the world, compared to buying expensive satellite equipment connections which can set them back up to $1,000. A US$20 open line phone is needed to start using the SIM. As an innovative feature, subscribers get two numbers in one SIM: an international mobile number and a Philippine Globe mobile number. By having a Globe mobile number, family and friends in the Philippines can contact them using local rates, just like calling or texting another mobile number in the Philippines. 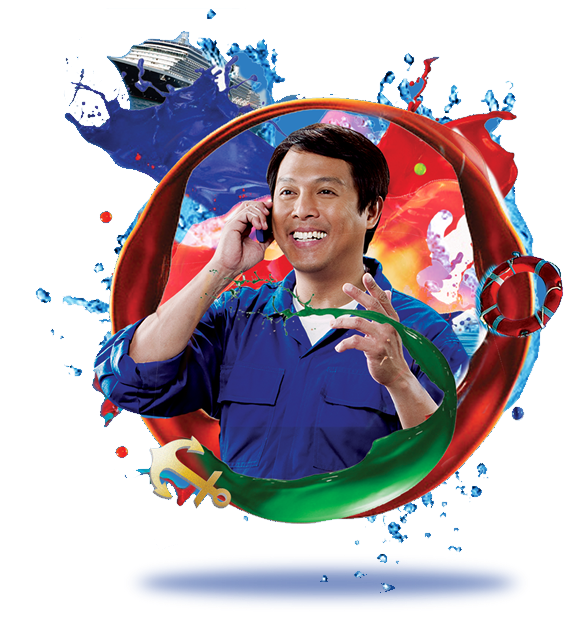 In addition, Filipino mariners can call home for as low as U$0.20/minute and send an SMS for just U$0.10. It can be activated in any unlocked 2G or 3G handset in over 200 countries around the world. The Globe Seafarer SIM is available in various countries abroad, select Globe stores nationwide, including Globe booths in airports, LUSWELF and MARINA. For information on the Globe Seafarer SIM, visit www.seafarersim.com. “We are working round the clock to continue improving our service levels for the Filipino seafarer community. As a profession which requires them to be away from home for a great deal of time, we are providing them their very own SIM which will help them to be constantly in touch with the people they care for back in the Philippines. The Globe Seafarer SIM will keep communication lines open for them from virtually any country in the world they will be traveling to, giving them the opportunity to maintain and even strengthen their bonds as conversations can carry on no matter the distance between them at very affordable prices,” shares Globe Senior Vice President for International Business Rizza Maniego-Eala. Incidentally, the Globe Seafarer SIM won a Bronze Trophy at the Asia-Pacific Stevie Awards for “New Consumer Service of the Year” for its value for the Filipino seafaring community.